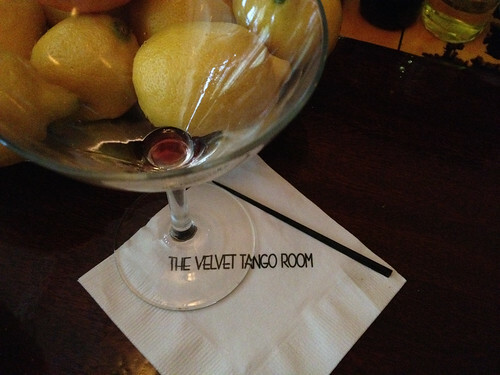 I was pleased to join Chris for happy hour at the Velvet Tango Room. Here we see the remains of a Rob Roy--essentially a Manhattan made with Scotch. It was exactly what Tuesday needed.